Gifts for the Upcoming Holidays! Thinking of a nice gift to get your family and friends for the upcoming holidays, why not check out our crochet gift sets! They are a perfect gift for someone near and dear to you, or treat yourself to a set of Heirloom quality tools to be passed on and cherished. Available in sustainable, exotic woods of Ebony, Nam Oc and Trai. All Crochet Sets include a beautiful multicolored fabric case to protect the following size hooks: D, E, F, G, 7, H, I, J, K, L, M. And the cases come in assorted colors! Shop local and support small businesses in your community! Make your Thanksgiving a little more festive by creating your own turkey coasters. They are a cute way to spice up your table decor and add a little festive cheer to your holiday. 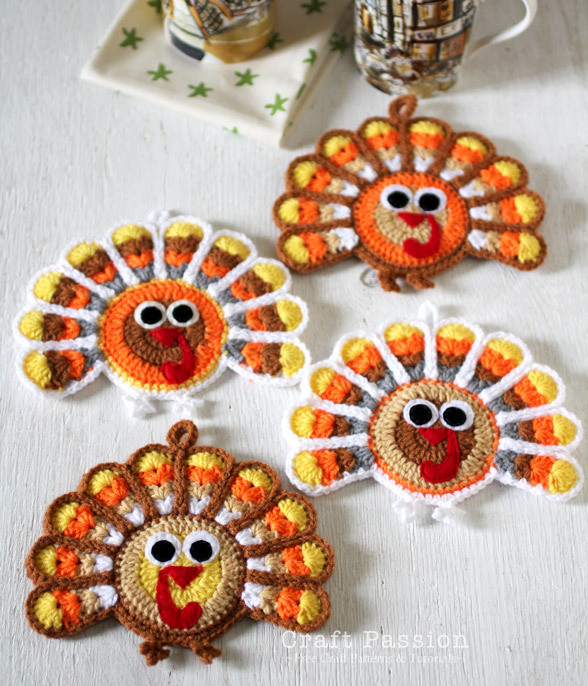 This pattern from Craft Passion will make a great craft before the holiday!